MB has mentioned the hill of Knockadoon in recent posts. In the below photo, the 16th century Bouchiers Castle is visible left of pic. The ruins of a 13th-century castle, called Black Castle, also lie within the treescape of the hill, but it’s not visible on MB’s shot. Knockadoon contains one of Ireland’s four secret entrances to the land of everlasting youth, or Tír Na Nóg in the Irish Gaelic language (pronounced – teer-na-noog). Each of the four provinces of Ireland contains one entrance, which are known only to a select few Knights of Nóg. HX blog followers can guess whether or not MB is such a Knight, but MB’s not saying. However, MB’s extremely youthful looks for his age may give followers a pointer. Other than the above, MB is not at liberty to say much more about the sacred historical hill which contains many secrets. 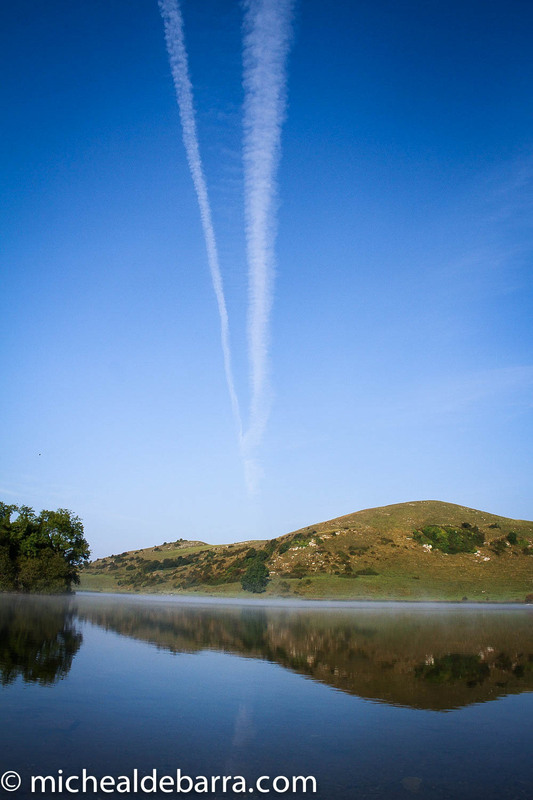 Lough Gur lake, Limerick, South West Ireland. September 2014.